The purpose of these sessions is to cover many areas of the game over the course of a few months, giving our students time to work on each facet of their game at their own pace. These will be one hour sessions for both men and women. Each week our instructors will cover a different topic. Please reference the attached schedule, and plan accordingly. These schools will be three hours and our staff will provide the students with lunch and a post school discussion. The half day school will be limited to five golfers, and will be offered once a month throughout our prime golfing season. Our instructional staff will mainly focus on woods, irons, and short game, spending approximately one hour teaching each discipline. 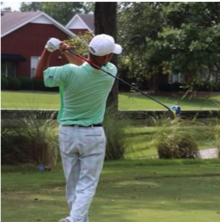 This school is ideal for the golfer who may not have time to come once a week, but can outline their game plan and practice schedule based on information from one school. Ideal for younger golfers ages 6-13, golf instruction for the younger children. A fun, unique style of instruction, not limited to golf, but utilizing some of the more popular sports of today to help younger children understand the golf swing. These camps will be taught for three consecutive days and last for three hours, with lunch included for campers daily. All campers receive free daily greens fee after camp with any paid adult greens fee. Kids can play all day long!! Camps will have a limit in size of 12 children.